Carrick Enterprises is responsible for the operation of Project SAILS. Project SAILS is a knowledge test with multiple-choice questions targeting a variety of information literacy skills. These test items are based on the ACRL Information Literacy Competency Standards for Higher Education. The SAILS test offers universities and colleges a method for testing the information literacy skills of their students. You can find additional information about Project SAILS on our web site: www.ProjectSAILS.org. Project SAILS is a registered trademark of Kent State University. and professors. If your institution is interested in participating in the field test of our new test, please read the Field Test Information page on our web site. You can also follow our progress on the our Information Literacy Assessment blog. 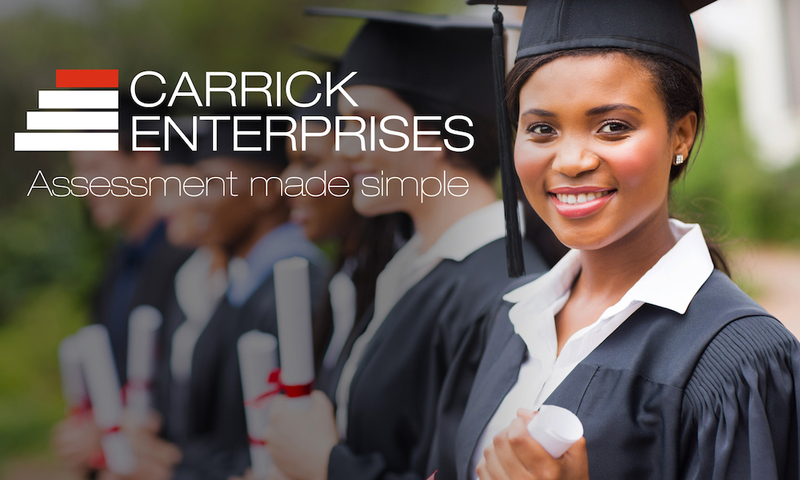 The mission of Carrick Enterprises is to help colleges and universities assess student achievement. Our current focus is creating information literacy assessments to inform and guide institutions that are committed to the success of their students. We offer turnkey solutions for measuring student knowledge and dispositions plus customized analysis and recommendations for improvement. Carrick Enterprises, Inc. was formed in 2007. The two founders, Rick Wiggins and Carolyn Radcliff, have a combined library work experience of more than 35 years. They have built on their extensive work in university libraries to create a company that values innovation, integrity, and excellence. Rick is President and Chief Technology Officer for Carrick Enterprises. He has worked as a software developer for more that 35 years, both in academia and in the private sector, specializing in web scripting, database management, and system administration. His experience includes developing software for monitoring nuclear power plants, managing small and large computer systems, and creating web sites for numerous clients. Rick was the first webmaster for the University of Akron where he was Coordinator of the New Media Center. He was one of the original team members for the development of Project SAILS while at Kent State University. Carolyn has had a distinguished career as an academic librarian. She has focused on four areas of academic library work: information literacy, assessment, reference, and management. As a reference and instruction librarian at Kent State University, she worked closely with students and faculty from ten disciplines and developed her professional identity as an instruction librarian. More recently, as the head of the public services division at Chapman University, she cultivated a deeper understanding of library leadership and developed her identity as a manager, mentor, and coach. This combination of experiences has prepared her well for her role as Information Literacy Librarian for Carrick Enterprises. Our goal is to provide the highest level of customer service possible and we try to respond to your requests quickly. Our office hours are Monday through Friday, 9:00 AM to 6:00 PM US Eastern Time. We are closed on all national holidays. Please keep in mind that we are now in the Eastern Time Zone. Copyright © 2019 Carrick Enterprises, Inc. All rights reserved.